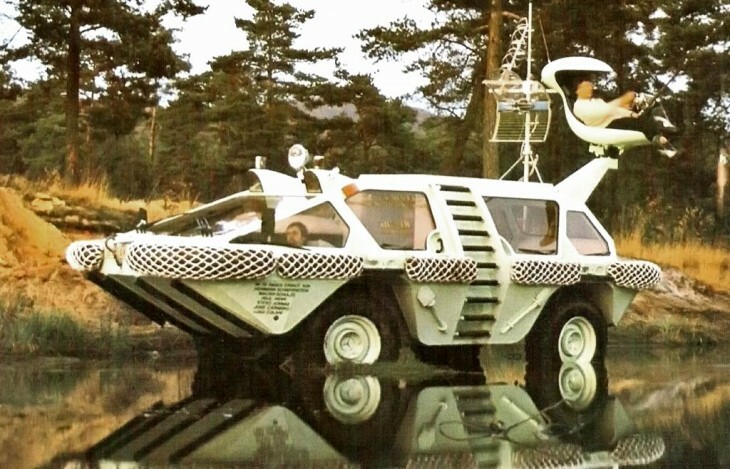 The 1979 Colani Sea Ranger was just one of the many crazy ideas to erupt from the head of the prolific German designer Luigi Colani. Colani has designed a huge range of items during his extensive career, from vehicles and buildings, to furniture and everyday items like pens. His work has taken him from his native Germany, to California as an aircraft designer for McDonnell Douglas in the fifties, back to Germany, then to Japan, Switzerland and China, before retiring back in Germany. Berlin to be precise. 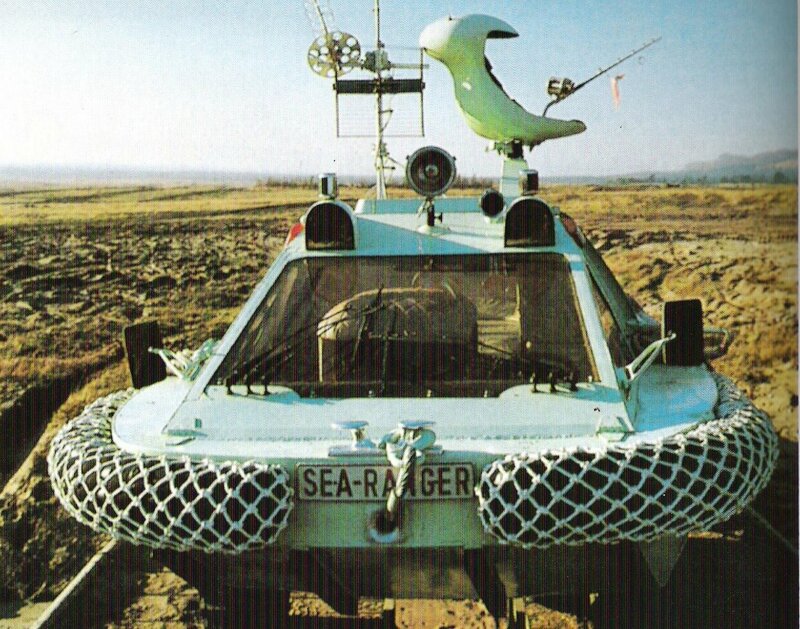 So despite the Colani Sea Ranger's quite absurd appearance, you can be sure that it's been well thought out. 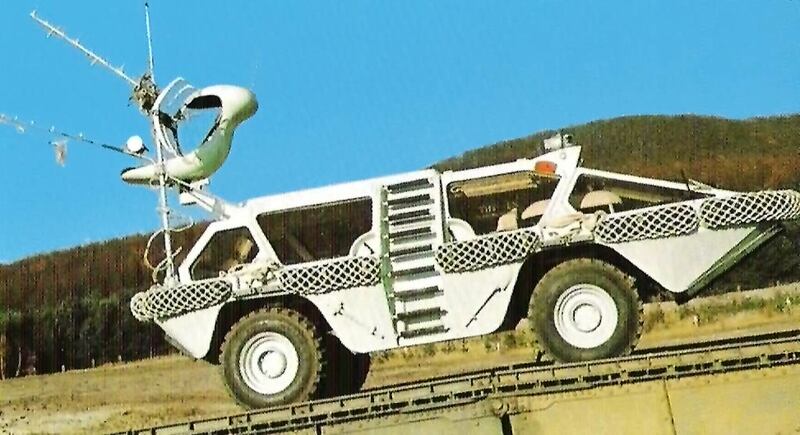 It was also pretty capable in the mud, primarily due to the fact it was based on a Mercedes Unimog chassis and running gear. This was then wrapped in a watertight amphibious shell which looked like something straight out of a science fiction book. Highlights of the Colani Sea Ranger included the open interior which had fantastic 360 degree views thanks to large angled windows, a side ladder to allow the occupants to climb up onto the roof, a powerful radio antenna, and of course that single rear swiveling fishing seat which was styled a bit like the iconic 70s egg seats. 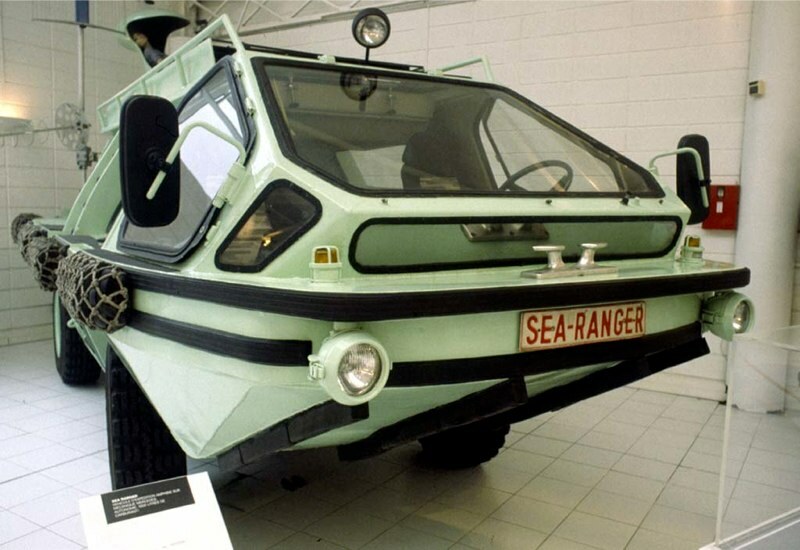 The prototype of the Colani Sea Ranger made its world debut at the 1980 Hanover Fair, and despite drawing an inquisitive crowd, there wasn't enough interest to manufacture it commercially. 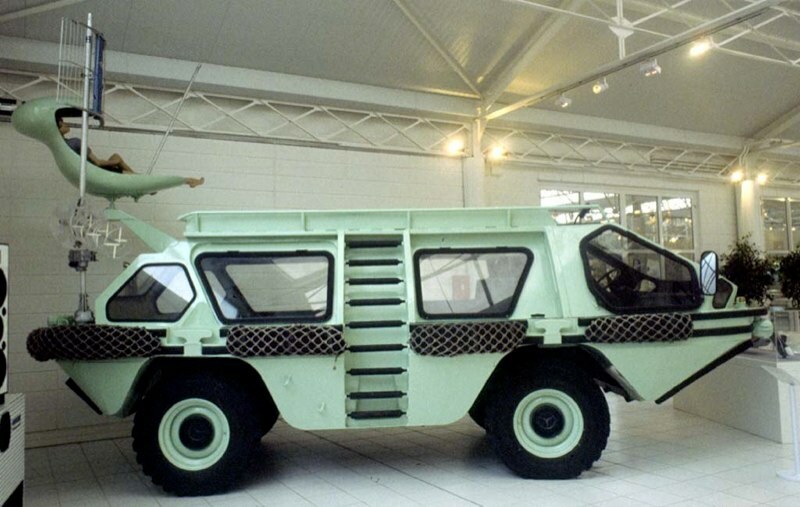 It remains a one-off housed at the Colani design museum. 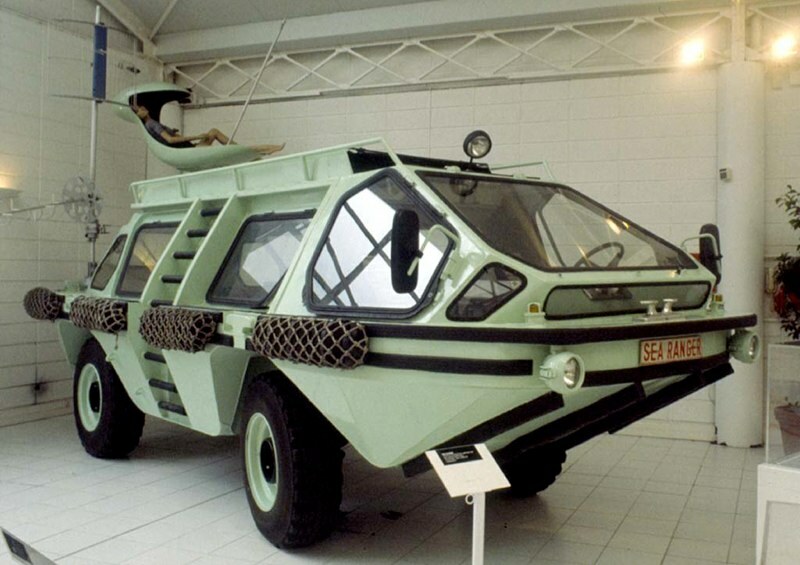 Another one-of-a-kind vehicle which would have given the Colani Sea Ranger a run for its money was the equally unusual Dobertin Surface Orbiter.